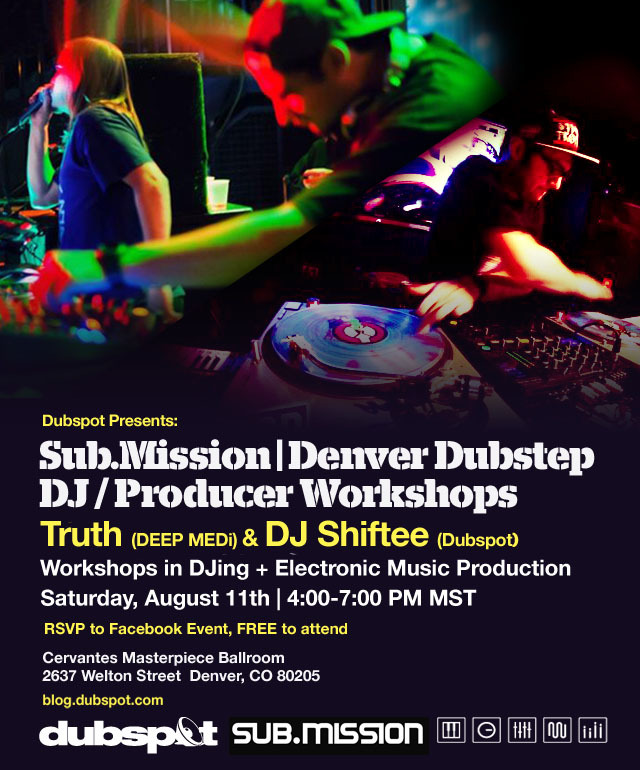 Dubstep duo Truth (Deep Medi / Get Darker) talk to Dubspot about after presenting a live streaming workshop on sound design and music production. Respected across the globe, Truth (Andre Fernandez and Tristan Roake) have cut a clear pathway through the international dubstep scene as both world-class producers and party-rocking DJs. On the nightclub and festival circuits, the fruits of their labor have included three European tours, three American tours, countless Australian and Asian spot dates and a loyal following across New Zealand. They have built this performance presence through DJ support from Mala, Skream, Joe Nice, Youngsta, Hatcha and N-Type, giving their music an advance presence at key club nights like DMZ in London, Club Love in New York and through seminal radio stations such as BBC Radio One, Kiss Fm and Rinse FM. Dubspot Instructor Shiftee unveils Native Instruments Traktor Kontrol F1 with Greg Nice.